There are so many things out there that society easily throws at our feet. Some are accepted and others not so much. There is one thing however that I believe every mother, father, caretaker NEEDS to know and NEEDS to be diligent about. IT IS THE DANGERS OF BUTTON BATTERIES. YEP! Those tiny, silver, shiny button batteries that range from the size of a pencil eraser to a quarter. They are found in MANY house hold items such as remotes, toys, musical greeting cards, flashlights, penlights, and hearing aids. When these little buggers are swallowed they easily get lodged in the throat. 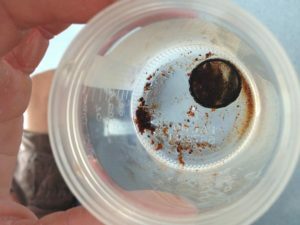 When this happens, the spit in your child’s throat triggers an electric current causing a chemical reaction, which then severely burns the esophagus in as little as 2 hours. Why is this so important for me to educate people of these button batteries? 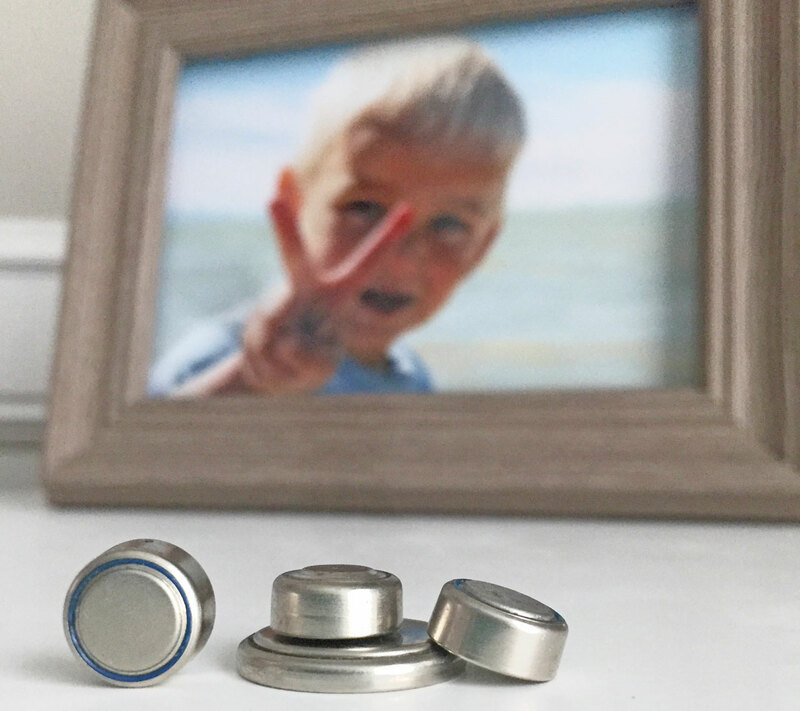 These small button batteries almost killed my son when he was 2 years old. The battery was in a remote to a portable DVD player that my kids played with all of the time. I had no idea how dangerous these buttons were. One day as I was folding laundry in my room, my 2 year old little guy came into my room crying. He was pointing inside his mouth so I figured he bit his tongue. I gave him loves and hugged him but he continued to cry. I noticed he kept gagging and drooling a lot which sparked the question if he had swallowed something. He nodded his head. At this point I wasn’t too overly concerned. 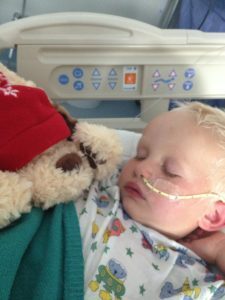 He was breathing and crying which meant it wasn’t in his airway. Alright moms…..You know that feeling you get when you know something is wrong but you don’t know why? This was one of those times. I tried to think of places in my home where money was laying around. With lots of little kids my house is pretty well childproofed from small objects. I showed my son different coins and had him point to the one he swallowed. He pointed his little 2 year old finger at the quarter. At this time he was still continuing to cough and began to drool a lot. I figured whatever it was seemed to still be stuck in his throat. I got him a glass of water to see if it would help wash it down, but he just continued to cough and cry. This is when MOMMY INSTINCT came full afloat. He ran to the other room and came back with a remote from a portable DVD player we no longer used. He pulled the slider out and the button battery was gone. I began to panic. (Not because I was educated and knew how deadly these things were, but panicking that the battery may leak alkaline inside my child.) I quickly called my husband and he called poison control. 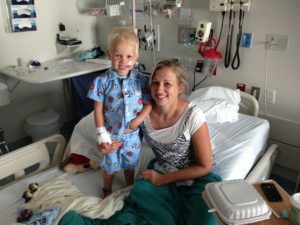 After getting off the phone with my husband I jumped online and was brought to a blog of a little boy named Emmett (More info on him at the end of my post). 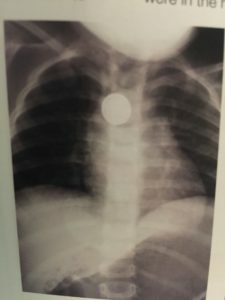 I skimmed over the blog and quickly learned this little boy had swallowed a button battery, burning a hole through his esophagus and trachea. That’s all I needed to know. I called my neighbor in tears to come watch my boys, I grabbed my boy and started driving to the ER. On my way my husband called me on a 3-way call with Poison Control. They told me to get my son to the ER as fast as I could. Poison Control was AWESOME and so helpful, while on the phone they informed us they had called the ER and let them know we were coming. They briefly explained the dangers and the damage it could do and said they will call back for more updates. I believe because of this call we were able to get right in and immediately received a chest x-ray. Sure enough. The x-ray showed the battery lodged close to his aorta. 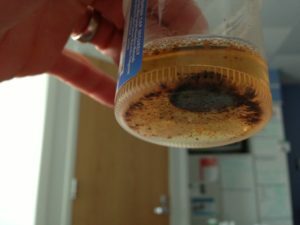 The doctors had never experienced this and didn’t have the equipment to remove it. They began making calls to some bigger hospitals. One did not have the equipment needed to get it out and told us to call a hospital specifically for children. They did and everything went crazy after that. 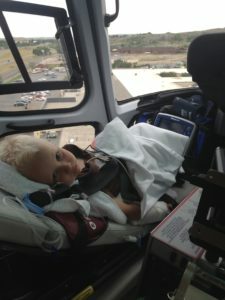 The doctor there said, “I don’t care how you do it, but you get that little boy up here fast.” They called in the life flight crew and we made a quick trip over the mountains. When we landed the doctor talked with me briefly and they took him straight into surgery. 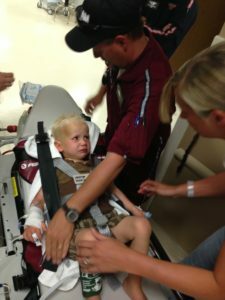 I just stood there as they wheeled my son away unsure of what to do. A nurse led me to the waiting room where everything caught up to me. I was by myself, and I burst into tears. My husband was driving up and my parents were on there way, but at this time I was terrified. I couldn’t do anything but pray. Praying that my little boy, at the mercy of the skill and knowledge of doctors, would be alright. Other parents in the waiting room came and gave me a quick hug. They didn’t ask questions, no words were needed. A hug of understanding and empathy was all it took. Those hugs were an answer to my prayer for comfort which gave me the added strength I needed. My husband arrived, followed shortly by my parents. We sat awaiting any news. After about 45 minutes the doctor called me at the waiting room. 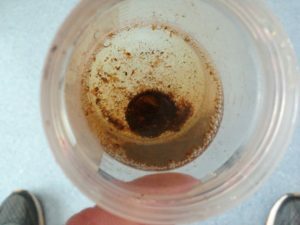 They had said they inserted a camera down my sons throat and about 14 cm down they began to see burnt tissue. It just got worse the further down they went. He told me they were bringing in another doctor to consult with. They were going to discuss the best thing to do to get the battery out. That was it. That was my update. All I knew was that this tiny battery, something that I thought was harmless, was burning my sons throat. I could not believe my eyes. I felt horrible in not knowing how dangerous these batteries were. This is after only 5 hours people! 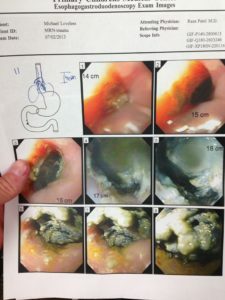 It was 5 hours by the time he swallowed it and got it removed. Only 5 hours and this was the damage it had done. Any longer it could have been a completely different outcome. The doc said that they had put a feeding tube in him and that he wouldn’t be able to eat for a couple weeks by mouth. Lil man after anesthesia wore off. As a result he had his little throat stretched to open it up more. Basically a controlled tear of all of that scar tissue to open up his esophagus. It went well and we are so grateful for the end result. 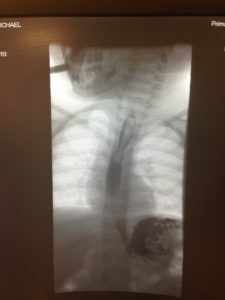 So grateful for the “mother instinct” or promptings I received to find out what he swallowed. Three years later our little guy is doing great, but others are not so lucky. 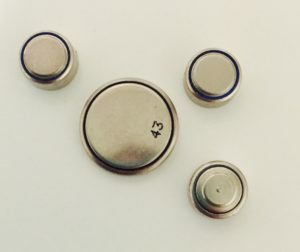 I have heard of many little kids who have died from swallowing these batteries, and they weren’t discovered until it was too late. These kids start showing flu like symptoms, and after a day or two they start throwing up blood. At this point it has burned through major blood vessels and it is too late to save them. These batteries are no longer allowed in our home. Any toy with them are thrown away. Remotes are super glued, taped shut and always placed up high way from kids. Educate yourselves mamas!! Share with your friends the dangers of these batteries. You never know how many lives you may save. Poison Control also featured our story in their annual report to provide awareness to others about the dangers of button batteries. They were very concerned and called us multiple times through out the 3 months of recovery. We sent them the battery, so tests could be done on it. They were great in every way to provide support and information we needed. 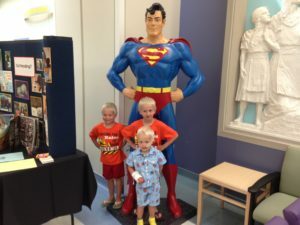 To learn more of Emmett (the little boys blog I found when I was looking online about the button batteries) then go to Emmettsfight.com. His story is inspirational and educational. He is doing really well now and is able to eat after years and years of a feeding tubes and surgeries on his esophagus. Why I Listened To This One Reason To Start Homeschooling, When a Hundred Other Reasons Were Telling Me Not To!